Officials work around a helicopter that crashed into a home on Shearwater Place, near Bristol Street and Jamboree Road, on Tuesday afternoon. 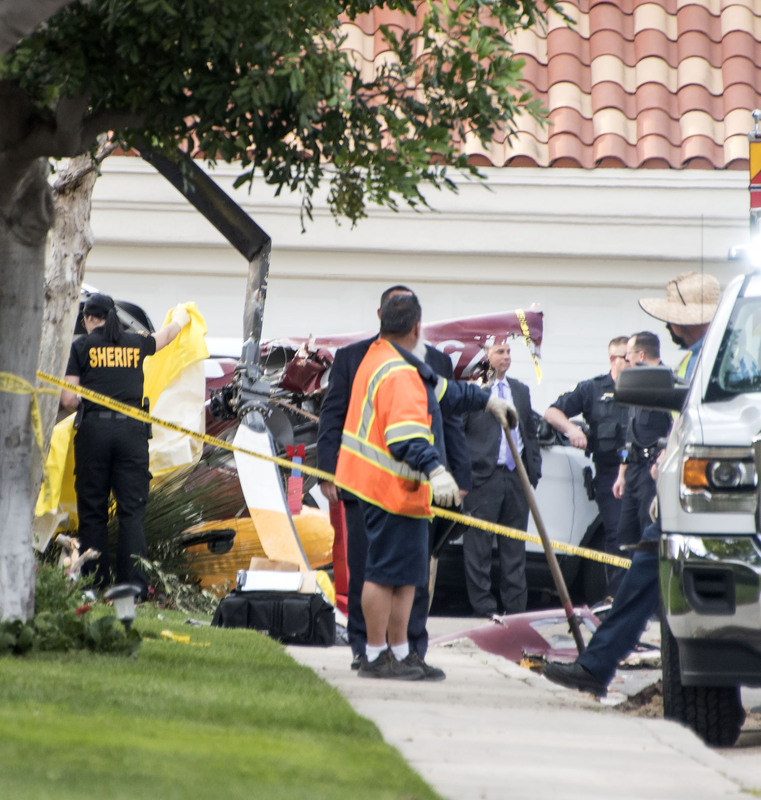 At least three people died as the result of a helicopter crashing into a Newport Beach home Tuesday afternoon, according to officials. 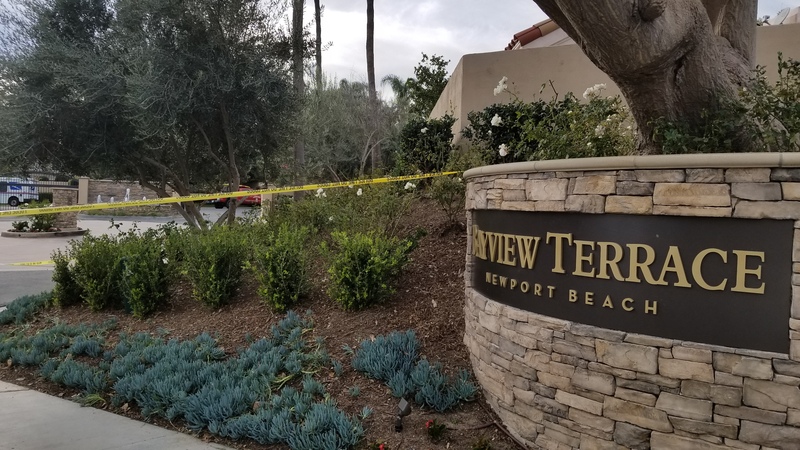 Joseph Anthony Tena, 60, of Newport Beach, Kimberly Lynne Watzman, 45, of Santa Monica, and Brian R. Reichelt, 56, of Hollywood, Fla., were identified Wednesday by the Orange County Sheriff’s Department as the three deceased victims. 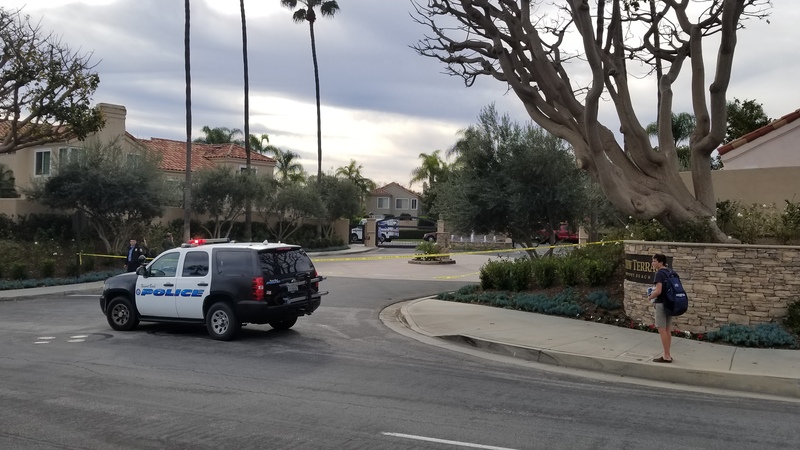 Newport Beach Police Department released an initial Nixle alert about the collision at a home on Shearwater Place near the Egret Court intersection, in the area of Bristol Street and Bayview Place, around 2:12 p.m. Tuesday. 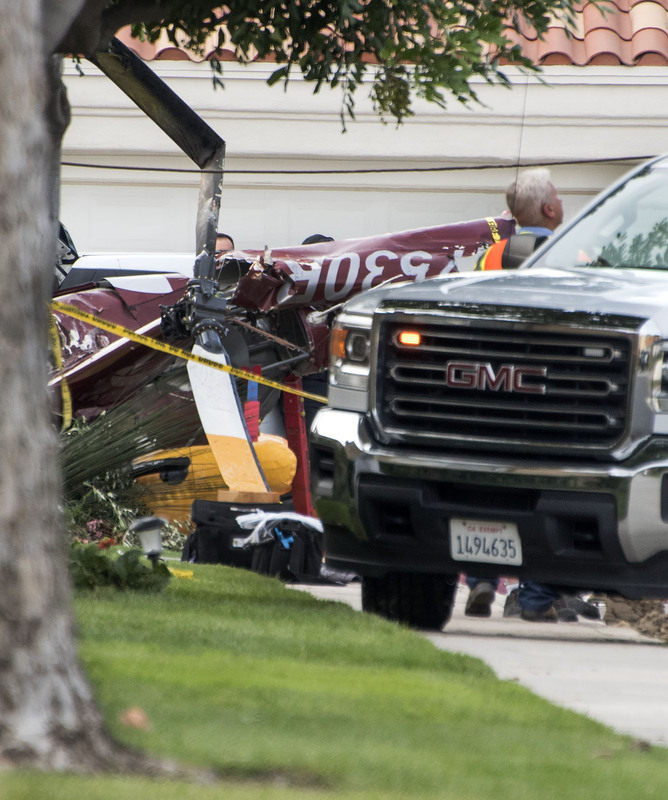 “A four-seat Robinson R-44 helicopter crashed under unknown circumstances in a residential neighborhood in Newport Beach around 1:45 p.m.,” confirmed Federal Aviation Administration Pacific Division Public Affairs Manager Ian Gregor in an email Tuesday. A police update on social media around 3:05 p.m. noted that at least five people were involved, four on board the helicopter and one bystander on the ground. All five were adults, police later confirmed. 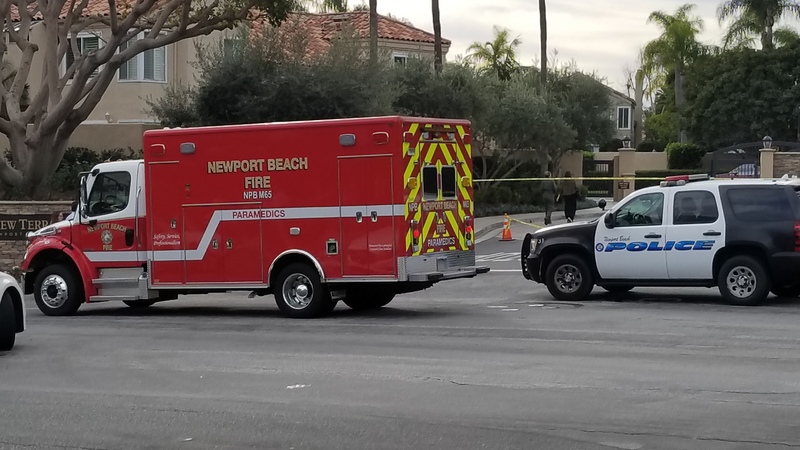 The two injured victims were assessed and transported, one to a nearby trauma center and one to a local hospital, according to NBPD. At least two structures were impacted in the crash. It does not appear that there were any people inside any structures, NBPD spokeswoman Jennifer Manzella pointed out. 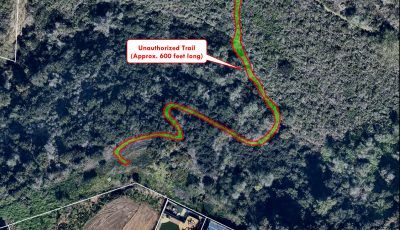 It is unknown at this point whether all three fatalities were on board the helicopter or if one was the bystander, she added. The helicopter had departed from John Wayne Airport, Gregor confirmed. The FAA aircraft tail number database lists the registered owner as Spitzer Helicopter, LLC, based out of Canyon Lake. The helicopter was reportedly leased out to Revolution Aviation, a local flight school. Reactions from residents was a mixture of shock and sadness. 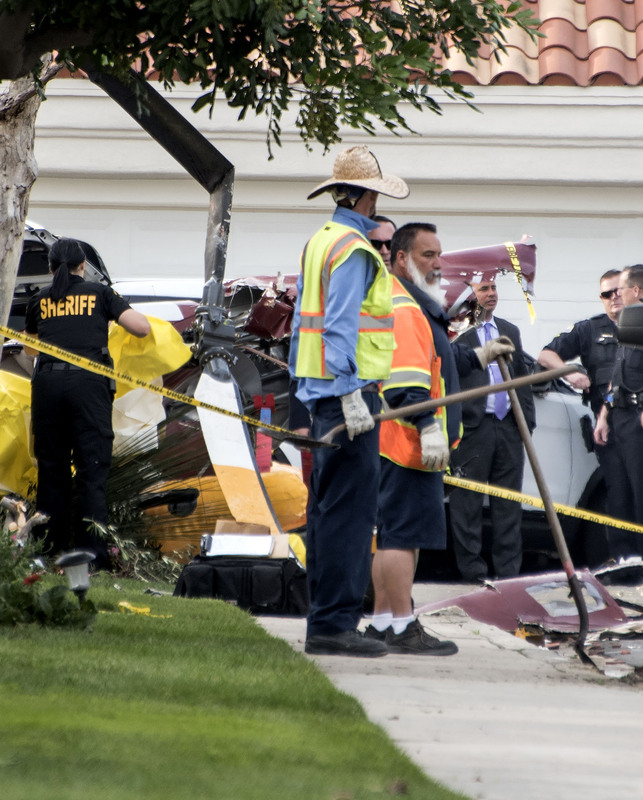 “It is all so sad, it’s hard to take in,” Newport Beach Mayor Marshall “Duffy” Duffield, whose district covers the area where the crash occurred, commented in an email on Tuesday. 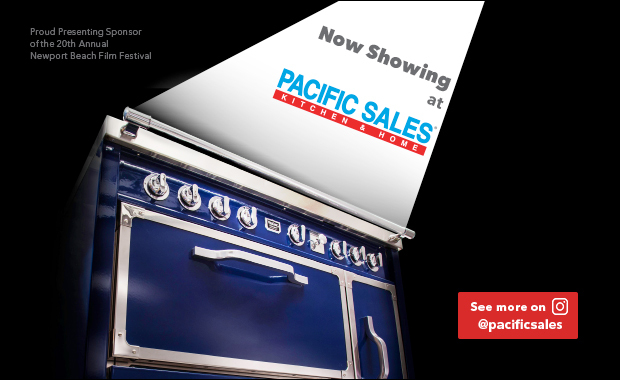 He noted that his son, a commercial helicopter pilot, was trained at the same company that flies that helicopter. “He is devastated. Very emotional for him,” Duffield said. 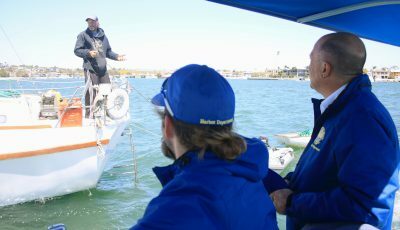 Duffield added that he once met the owner on the tarmac just after they finished a flight in the same helicopter, flown by his son. The FAA and National Transportation Safety Board will investigate. 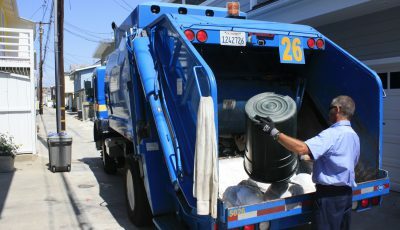 Inspectors were en route to the scene quickly on Tuesday, Gregor noted in the email. 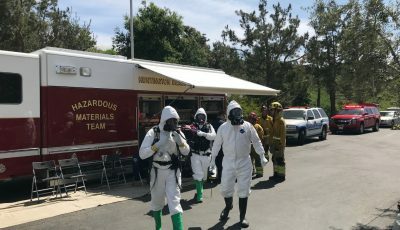 Newport Beach police will help on the preliminary investigation and information gathering, Manzella noted. The on-scene investigation will likely take several days to complete, NBPD estimated in a statement. The first police message also warned people to avoid the area. All entrances to the gated community of Bayview Terrace were closed off, except to residents of the neighborhood. Eyewitnesses stated that it did not appear to impact local traffic flow. Volunteers from Trauma Intervention Program were also on-hand Tuesday to assist anyone impacted by the incident. 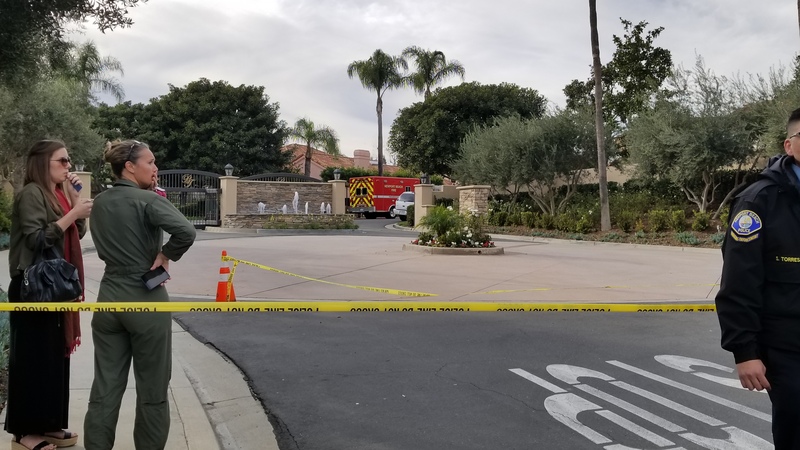 Police blocked off the entrance to Bayview Terrace gated community on Bayview Circle after a helicopter crashed into a residence on Tuesday afternoon. Local residents react to the helicopter crash near the entrance to the Bayview Terrace community as police respond to the incident. A helicopter crashed into a home on Shearwater Place in the gated community of Bayview Terrace, near Jamboree Road and the 73 highway, on Tuesday afternoon. Newport Beach police and fire departments respond to a helicopter crash in Bayview Terrace community.